On this episode, we’re learning about special situations law with Walied Soliman, the Canadian chair of Norton Rose! 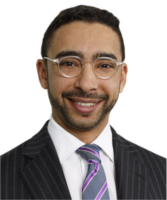 Walied Soliman is chair of Norton Rose Fulbright Canada and co-chair of our Canadian special situations team, which encompasses Canada’s leading hostile M&A, shareholder activism and complex reorganization transactions. Over the past several years, Mr. Soliman has been involved in almost every major proxy battle in Canada, acting for both issuers and activists. He is widely regarded as one of the leading special situations practitioners in Canada. In addition, his practice focuses on mergers and acquisitions, restructurings, financings, corporate governance and structured products.